Experience amazing diving in the Similan Islands on a customized liveaboard dive vessel. The Similan Islands sit isolated in the Andaman sea, 70 km off the west coast of Khao Lak, Thailand, and are noted as one of the top ten dive destinations in the world according to the National Geographic Society. 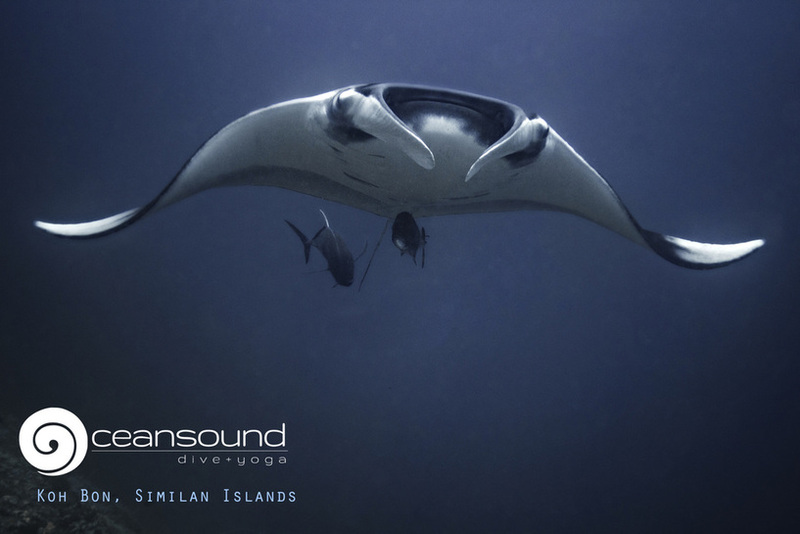 The Similan Islands are a chain of 9 islands protected under national marine park status, and offer regular encounters with Manta Rays, Leopard sharks and Whale Sharks. The dive safaris also include access to Koh Bon, Koh Tachai and the renowned Richelieu Rock, co-discovered by the team of Jacques Cousteau and local Thai fishermen. Ocean Sound Dive + Yoga is a booking agent for two excellent companies offering three, four, five or seven night dive safaris. Trips include accommodation, all snacks, meals, and non-alcoholic drinks. Many vegetarian meal options are available onboard. Email us for information or to book for the 2018-2019 season! Watch this amazing preview of Similans diving! Filmed by Fat Fish Movies.